After sharing "Something Human" last month, Muse have finally lifted the curtain on their forthcoming eighth studio album. Titled Simulation Theory, the trio's latest will arrive November 9 through Warner. Eleven tracks in length, it follows the band's 2015 LP Drones. The album was produced by the band and Rich Costey, Mike Elizondo, Shellback and Timbaland. The album's artwork (seen above) was illustrated by Kyle Lambert, known for creating the original poster for Netflix's Stranger Things. Alongside the announcement, Muse have shared new single "The Dark Side," which arrives accompanied by a video. The song follows the aforementioned "Something Human," "Thought Contagion" and "Dig Down." Simulation Theory will also be released in Deluxe and Super Deluxe editions. The former includes "alternate reality" versions of tracks and acoustic reworks, while the latter includes an acoustic gospel version of "Dig Down," a version of "Pressure" featuring the UCLA Bruin Marching Band, and a remix of "Break It to Me" from Sam de Jong. 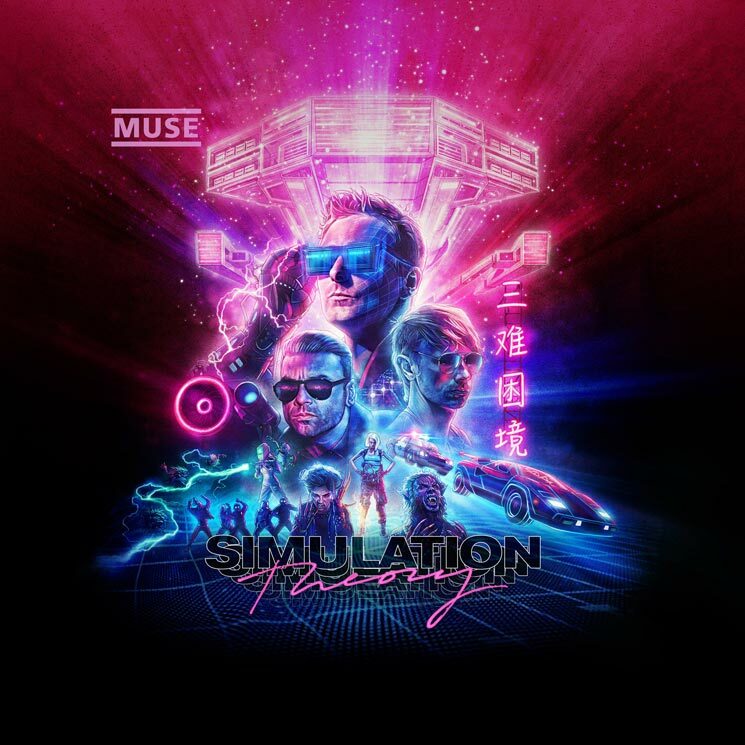 You can pore over the three different tracklists by pre-ordering Simulation Theory here. Muse will support the album with a world tour in 2019, for which dates have yet to be released.